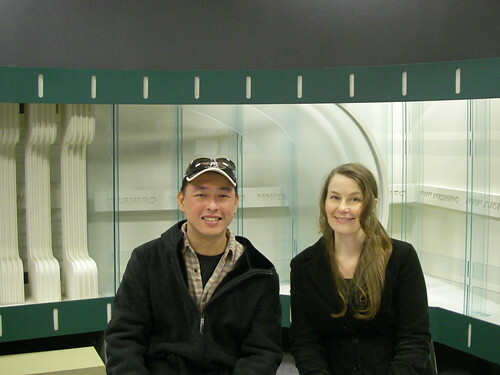 This Golden Week Hideaki and I were whisked away to Kushiro, where we spent the holidays visiting his brother. Kushiro, though the largest city in eastern Hokkaido, is not a major tourist destination, but my brother-in-law was able to show us some fantastic places and feed us some even more fantastic food. 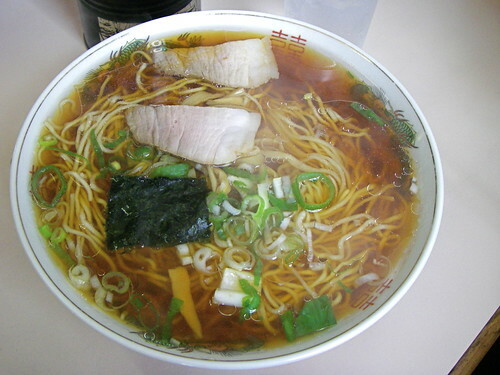 It started with ramen at a local place called Maruhira Ramen, which has just two items on the menu: shio ramenshoyu ramen and . I went with the shio (salt flavour), shown above, and Hideaki had shoyu (soy sauce flavour), below. 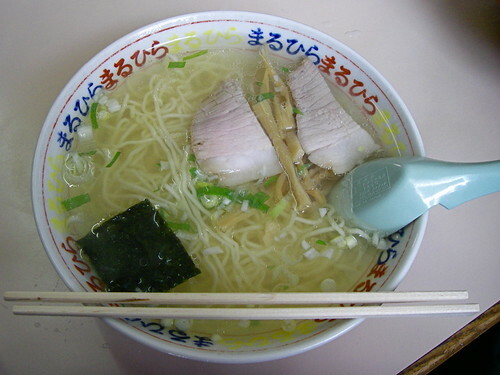 It was very simple but amazingly good, like what I imagine ramen to have been like 50 years ago. I've never really understood why Japanese people are willing to stand in line for food, but the 10 minute wait inside the tiny cramped restaurant were totally worth it. 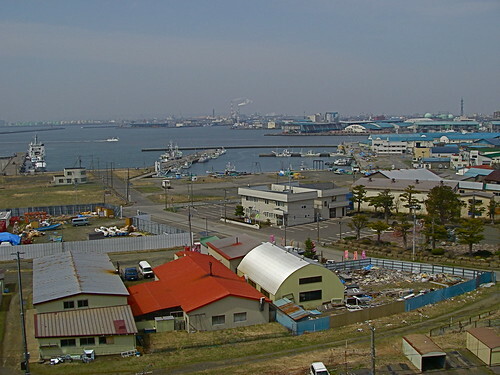 Next we went to Yonemachi Koen, a small park with a lighthouse overlooking Kushiro harbour. Most of the city's shoreline is industrialized so this wasn't the most beautiful view in the world, but it was a good look at the city. The houses are a bit bigger than in Tokyo but not as large as I expected them to be, given how large and unpopulated Hokkaido is. 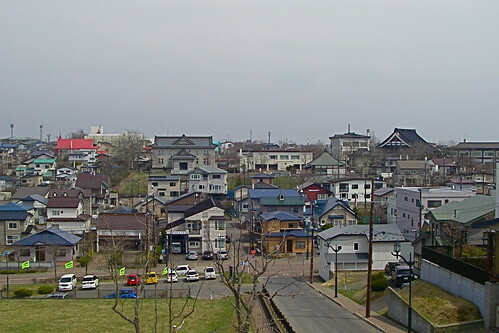 They were also extremely utilitarian, and the only attractive houses I saw were a few wooden ones built when Kushiro was first settled, most of them falling apart. Then it was off the Kushiro's NHK building where my brother-in-law works. 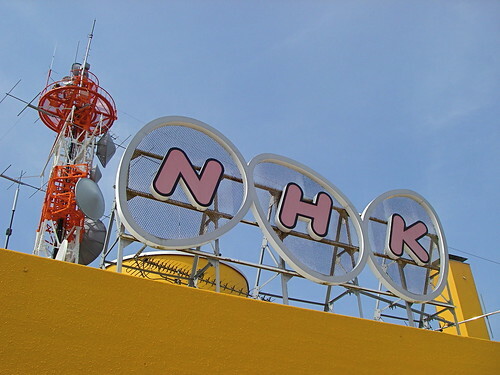 NHK (Nihon Hoso Kyokai) is Japan's public broadcasting organization, and because it was nearly abandoned due to the holidays we got a quick tour of the place. This is a view of Kushiro River from NHK's rooftop. Note the two little buildings with false fronts on the bottom right: these were once stores of some kind, likely small businesses run by a family that lived in the back. This style of architecture could be seen all over Kushiro, most of the stores sadly no longer in business. 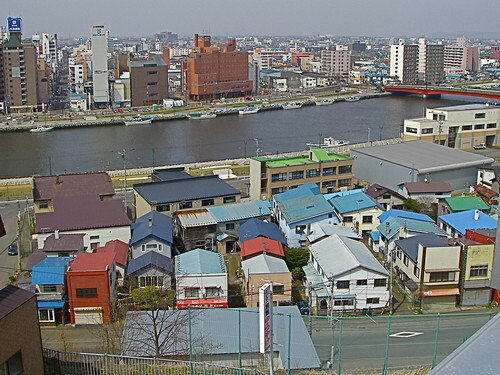 Kushiro's economy is in rough shape, partly due to the flood of young natives who head for Sapporo, Tokyo and other bigger cities. Here we are in the news studio. Next we drove east to Akkeshi, stopping on the way at Moritaka Bokujo for a soft-serve ice cream cone made from local milk (Hokkaido is famous for, among many things, its dairy products). This was probably the best soft-serve I've ever had: smooth, not too rich or sweet, tasting of milk and nothing but. 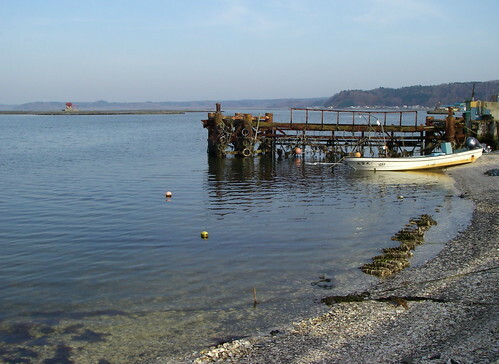 Akkeshi is the name given to the bay and the brackish lake it is connected to, both rich in sediments and plankton which make it an ideal area to raise shellfish. Oysters are available year round, thanks to the different temperatures of the lake and bay which allow the farmers to move their oysters around as the seasons change. 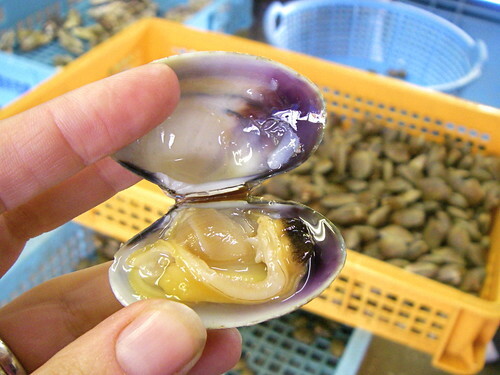 Along with oysters, other seafood is caught and raised in Akkeshi, chiefly asari (littleneck clams). We visited Hidetoshi Nakajima, acquaintance of my brother-in-law's who is apparently legendary in the oyster world. 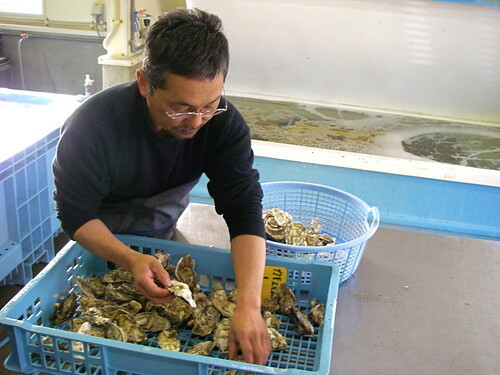 A fourth generation oyster farmer, he raises both clams and oysters, with oysters of the local kaki-emon variety his specialy. This tray holds asari of a size typically found in Tokyo. 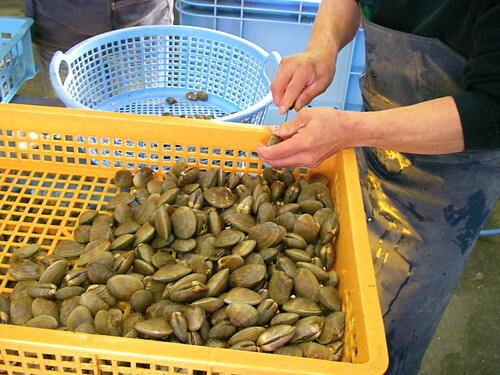 The next tray contained much larger clams, so big we assumed they were hamaguri (a larger type of clam). But we were mistaken, and apparently the locals like the big asari while the smaller ones are shipped off to Tokyo and other places. Three of these big ones were expertly shucked by the owner and handed to us. I was hoping it was just for inspection, but when I realized we were meant to eat them I had flashbacks of being tricked into eating live clams and oysters as a child. I had wandered into the garage where my dad and our French-Canadian neighbor were sitting around a couple of buckets, each with a beer in one hand and a knife in the other. Apparently the neighbor had just come back from the east coast and was sharing the shellfish he'd brought, which must have made my dad very happy. I liked seafood at the time and I think I was eager to try some, and while I don't remember if I liked it or not I do remember I was horrified to learn that the clams I'd just eaten were alive (or had been alive until very shortly before I'd swallowed them). 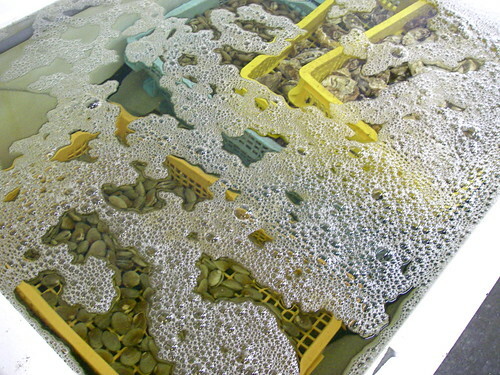 I felt like a dirty trick had been played on me and the idea of raw shellfish has grossed me out since then. But it would have been rude to refuse, and the sight of Hideaki, no fan of raw shellfish himself, bravely downing his clam gave me courage. I popped the clam into my mouth fully expecting to be grossed out, but instead found it to be tasty: the fresh, pure flavour and softly chewy texture were quite different from cooked clams. I was in no hurry to have another though, because as good as it was I still think clams are better cooked. We turned to the oyster tank, and with growing dread I prepared myself for the raw oyster tasting I assumed would follow. Raw oysters gross me out more than any other raw shellfish, and although I've tried to like them over the years (people look so happy when they eat raw oysters) it's always failed. They just make me gag. 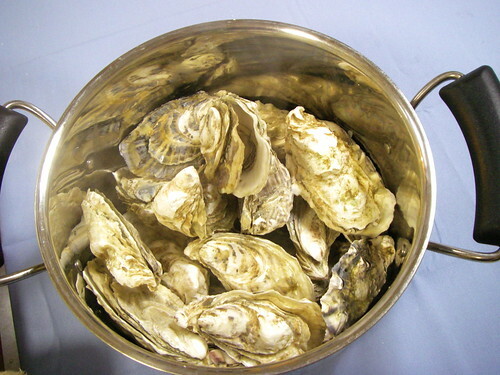 I've also never understood why North Americans go crazy for raw oysters while shunning sushi and sashimi: oysters are pretty much the most dangerous sea creature to eat raw, for worse than the tuna and other fish commonly eaten as sashimi in Japan. 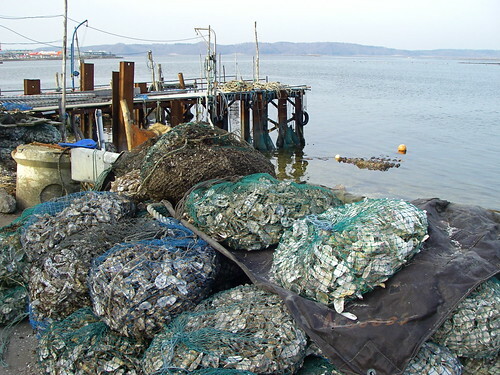 It's especially ironic that here in Japan it's far more common to find oysters cooked than raw, precisely because people here are well aware of the dangers. But if any oysters are safe to eat, it would be these ones. Freshly plucked from the lake across the street and kept in a special brine until shipped to retailers across the country, these were as clean and safe as you can get. My brother-in-law bought 60 oysters at what I can only guess was a huge expense (but a fraction of the price they'd go for in Tokyo, he assured us). 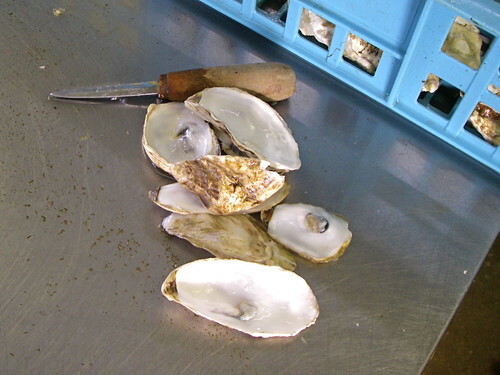 And while they were being counted out and hosed off we were presented with a freshly shucked sample. If you read the previous post it's no surprise what happened, but if you're just tuning in let me tell you what happened: I fell in love with raw oysters. There was about a half second of disgust as the soft, cold flesh slid into my mouth, but it disappeared as soon as my tastebuds detected that sweet, salty, umami goodness. I had expected I'd want to just choke it down as soon as I could, but instead I gave it a few little chews and discovered the lovely various textures that are far more apparent raw than cooked. And then I swallowed, and immediately wished for more. Hideaki also reported he enjoyed it, but not as much as I did and he still prefers them raw. But at least he gets it now. And so do I. We headed back to BIL's apartment in Kushiro to prepare for dinner (or rather, he prepared dinner while we waited in agony). 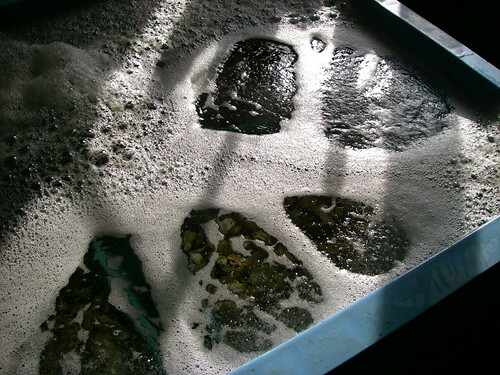 Above are oysters to be shucked at the table. 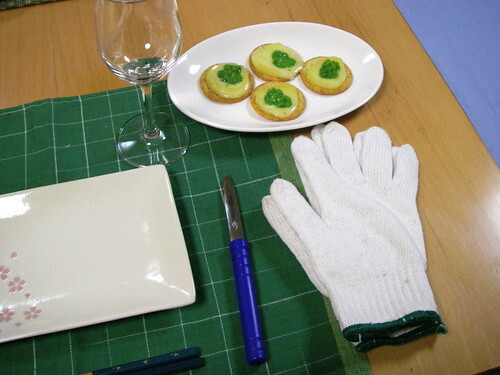 The tools are a pair of thick cotton gloves, an oyster shucker, and glasses for champagne (which apparently goes very nicely with oysters). As an appetizer we were served crackers topped with local Hokkaido cheese and freshly picked parsley (BIL is quite the gardener, and his apartment was full of edible plants). This oyster was shucked by my BIL, and was every bit as good as the one I'd sampled earlier. And this is my first attempt at shucking. Opening an oyster is a lot harder than it looked, and I never did get the hang of it. 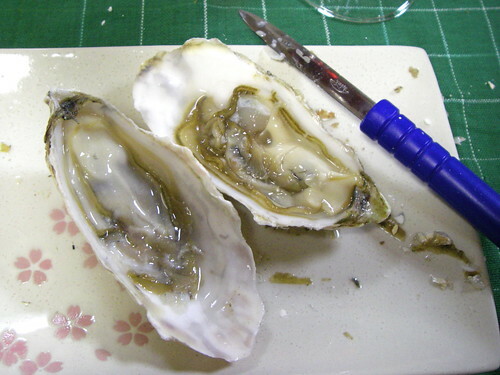 Every one I opened had to be painstakingly picked free of bits of shell that I'd crumbled, but luckily Hideaki and BIL generously supplied me with plenty of shard-free oysters. I probably ate half of the ones shown above, and would have eaten more if shame hadn't slowed me down a bit. The oyster feast didn't end with the raw variety: we were soon served kaki no sakamushi (sake-steamed oysters). 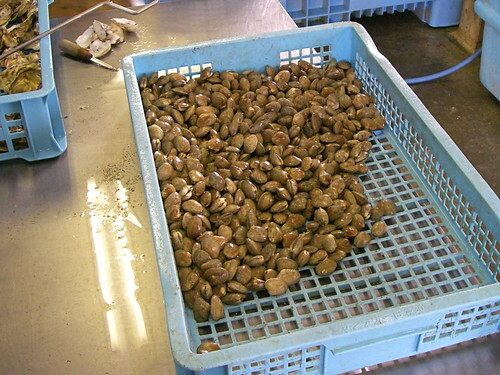 These were great, in a different way from the raw ones: they were soft and plump with sake and had a deeper flavour. Hideaki liked these best. 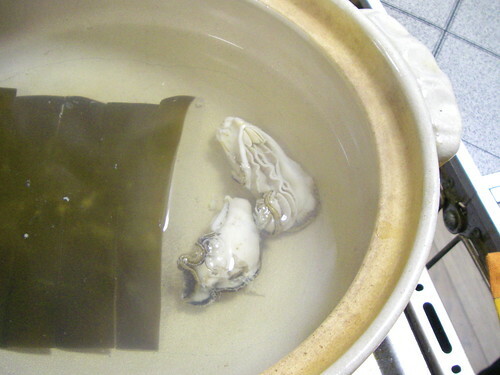 Next up was shabu-shabu, with freshly shucked oysters cooked briefly in kombu (kelp) broth). 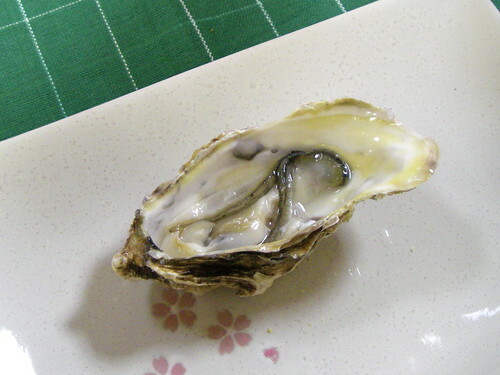 Once cooked they were dipped in ponzu (soy-based citrus sauce), which complimented the oyster flavour very nicely. 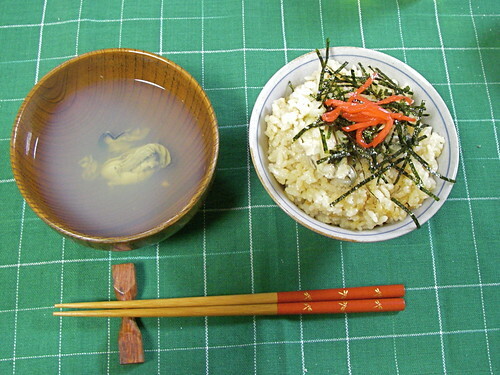 The meal ended with soup made of broth leftover from the steamed clams and kaki-gohan (oyster rice), topped with thinly sliced nori seaweed and benishoga (red-pickled ginger). Both were lovely, and while I was half hoping for some kind of oyster-related dessert, I was more than satisfied. I'm glad I finally get what the fuss is about raw oysters. 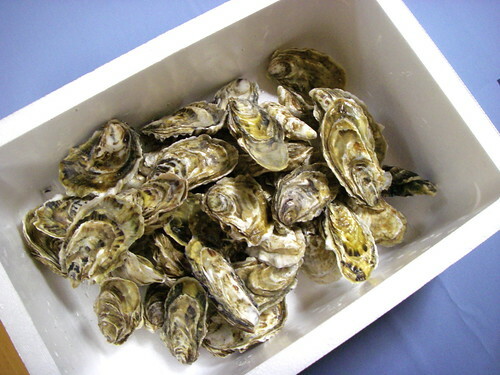 And yet, I almost wish I hadn't liked them: where am I going to find such food, fresh oysters as the ones I had in Hokkaido? And how will I be able to afford them? 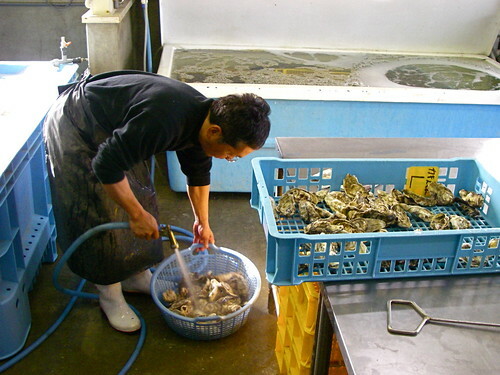 If Hideaki doesn't find a job soon I think we're going to have to move to Akkeshi and become oyster farmers. More pictures from the trip can be seen here. Welcome to the club. I was like you, but was converted early this year. Wow! We swapped in the post, so to speak, as we left Hokkaido for Honshu this Golden Week! We were shocked at how small and pathetic the Kansai sushi and fish in general was. I liked the "mayo with everything" attitude they have but hub was deeply shocked! I never knew that oysters are more dangerous raw than other fish. Love this post. I have very good memories of Hokkaido myself. Everything looks amazing! The super clear broth in the first photo...omg. 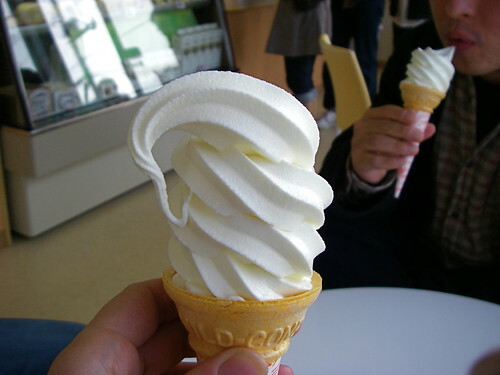 I had Hokkaido soft serve one time before, it was so good. So much delicious seafood!! An oyster dessert? I don't know of any, but it brings to mind oyster creme brulee or perhaps chocolate cake with oyster sauce? I absolutely love oysters too!I get to eat fresh oysters when I go to the beach in Ecuador, my home country. 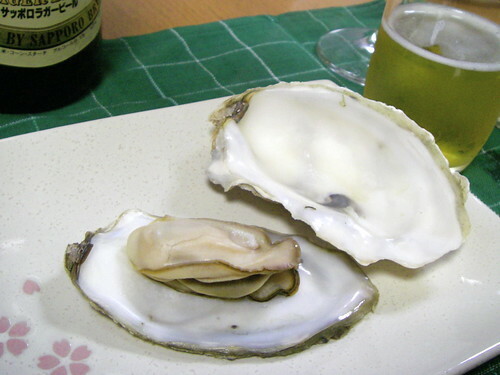 My fiance and I dream of going to Hokkaido, and I will remember to try some oysters once we go! Oysters, yum! 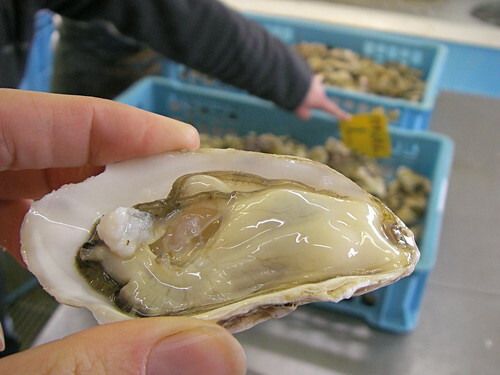 I love to read your blog, and every time I have done so, I head right for the refrigerator... No Oysters there unfortunately..
Akkeshi is my dream destination! 60 oysters? I am drooling... Such a nice post, thank you! More great pics as always! Your vacations are about 20 times better than mine would ever be.